These pork chops are quite literally amazing. This easy, hands-off, this recipe produces delicious and tender pork chops that never last long in our house. 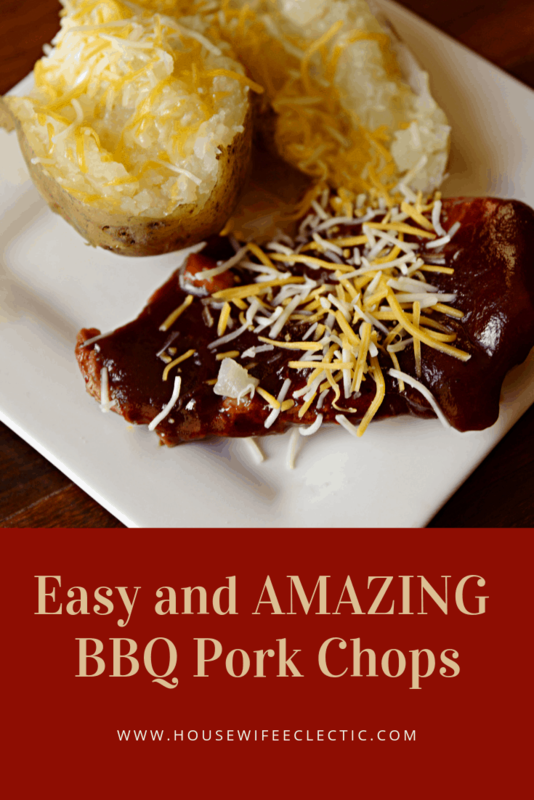 I am not a pork lover (except bacon, because everybody loves bacon), and this recipe makes my mouth water and makes me seriously consider buying pork chops every week. This recipe can serve as many as you want, depending on how many chops you can get into a pan. Add a half inch or so of water into the pan. Layer the onions on the bottom of the pan in the water. Salt and pepper both sides of your pork generously. Lay the pork on top of the onion, adding onion on top. Add water to cover the chops. Cover with tinfoil. Bake for one hour at 450 degrees. After the hour, pull out the pan and uncover. Drain the water. Pour sauce over meat evenly and change your oven to broil. Put the meat back in the oven for about 5 minutes to set the BBQ sauce. I love to serve this meal with my stand alone mashed potatoes, they are so good they don’t need gravy. My mouth is watering just reading the recipe again. I think I am going to have to get more pork chops!